Too often when people have questions or concerns about their family they run to books instead of the Word of God, which is the first place they should be going. 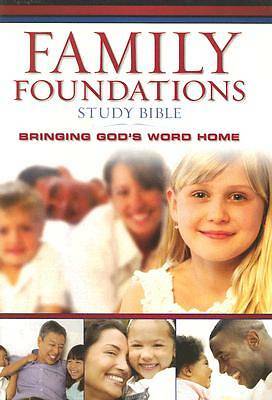 The Family Foundations Study Bible helps families apply God's Word to their family life by addressing a multitude of situations and circumstances that are common in the life of a Christian family. It provides parents with biblical tools and resources to help their families grow spiritually.